On this day today, Ian Fleming’s sixth novel, Dr. No, is published. The novel was originally a screenplay written in 1956 for what would have been a television show entitled Commander Jamaica. 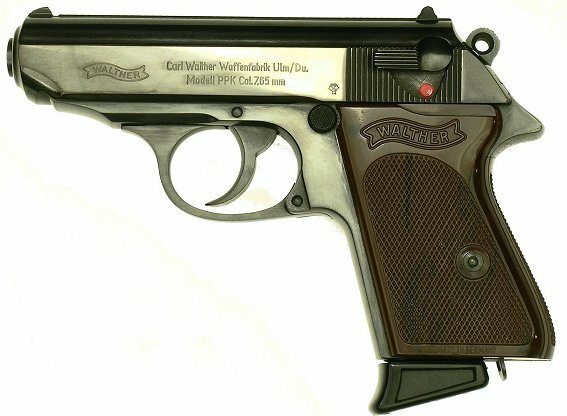 It also marks the first appearance of both Major Boothroyd and Bond’s signature weapon, the Walther PPK. 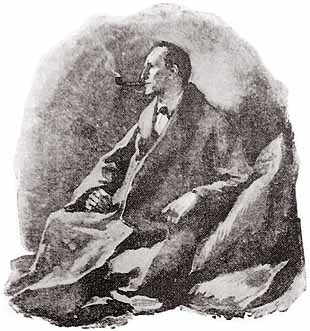 We examine this in comparions with that other great 20th century literary icon – Sherlock Holmes. James Bond and Sherlock Holmes – they are not only some of the most popular fictional characters in the history of the English language, but they are uniquely positioned as being emblematic of a certain type of English gentleman. Although it sounds old fashioned today (and too reactionary to some), Holmes and Bond were written as middle class urbanites who believed in God, Queen, and country. Science could also be included in this formula, along with a firm belief in strength and the art of self-defense. In order to properly perform his chosen profession, the consulting detective and sometime spy Holmes augmented his martial arts background with weapons including a walking stick and a service revolver. Similarly, Bond, as one of MI6’s most durable field operatives, was well-trained in various combat disciplines and was no stranger to “packing heat.” For the sake of fun and light entertainment, let’s examine the arsenals of Bond and Holmes – the two titans of popular literature who stand side-by-side in the exclusive club of timelessness. According to Dr. Watson, Holmes’s biographer, friend, and a former British Army surgeon who was a hard man in his own right, Holmes was plenty dangerous without a weapon. Tall, lean, and armed with an intellect that could easily dissect an opponent’s movements or intentions, Holmes was by any definition a force to be reckoned with. In terms of unarmed combat specifically, Holmes’s skills were grounded in two disciplines: the solidly British art of boxing and the more exotic system of baritsu. In later instances, like in “The Adventure of the Gloria Scott,” we learn that Holmes pursued boxing while in college (“Bar fencing and boxing I had few athletic tastes…”), while Watson claims in “The Adventure of the Yellow Face” that: “he [Holmes] was undoubtedly one of the finest boxers of his weight that I have ever seen.” Since Holmes boxed as a light heavyweight (175 pounds or 12.5 stone), it can be inferred that his style balanced speed and strength like other great light heavyweights such as Tommy Loughran, Freddie Mills, and Archie Moore. 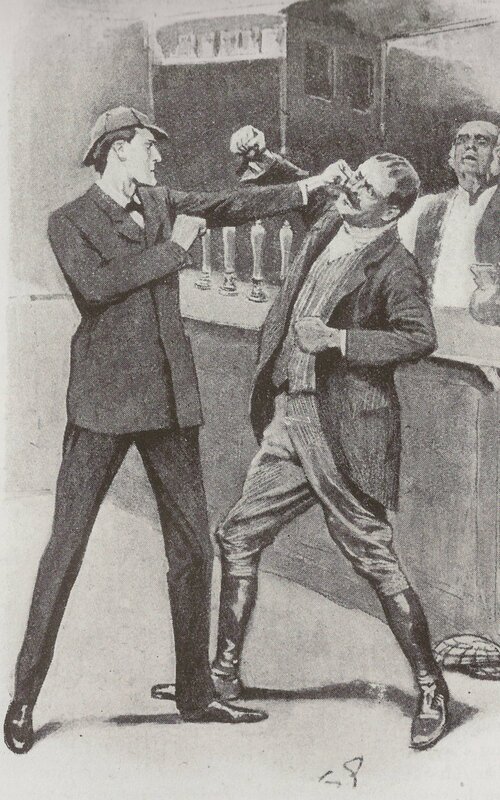 An added addition to Holmes’s proficiency as a pugilist is his expertise in the arena of baritsu, Sir Arthur Conan Doyle’s thinly veiled version of bartitsu. Bartitsu was developed by Edward William Barton-Wright, a British engineer whose long stays in Japan inspired him to create a “New Art of Self Defence [sic].” Barton-Wright’s combat system was designed as a syncretic style that combined European techniques and traditions (British boxing, French savate and Canne de Combat, and Swiss schwingen) with Asian ones (jujitsu, judo, and karate). Although he did not often resort to using them, Holmes almost always carried a pistol and was known to be an excellent marksman (note how he’s able to shoot a “VR” into his flat’s wall in “The Musgrave Ritual”). 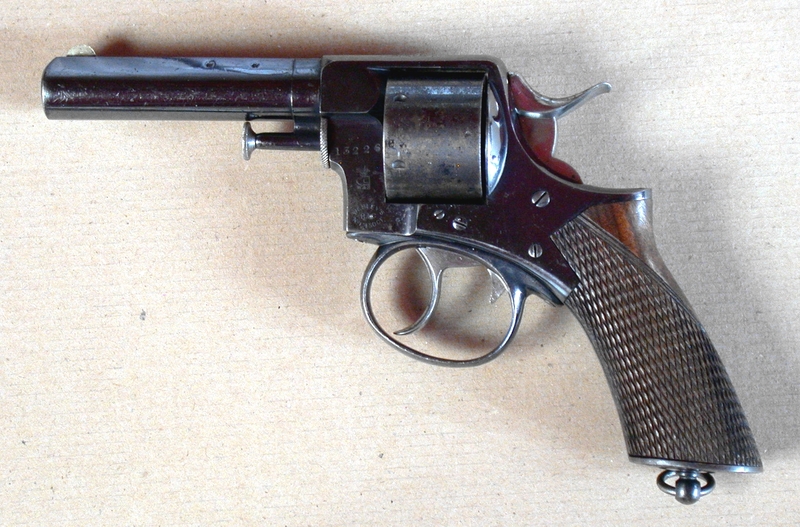 Holmes’s pistol of choice was the Webley RIC chambered in .442 Webley. Other handguns used by Holmes include the .450 short-barreled Webley Metropolitan Police Revolver (The Sign of the Four) and the Webley .450 British Bull Dog, a pocket revolver with a 64 mm barrel. As in all things, Holmes and Watson were patriots, and when it came to firearms, they only sported British-made revolvers. 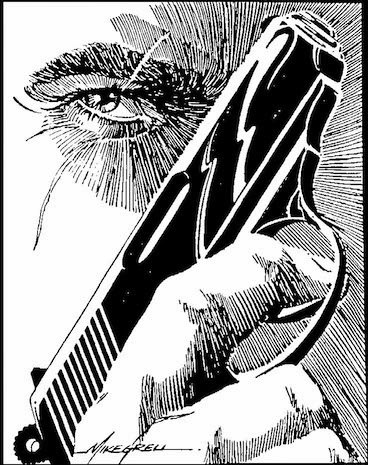 Although Bond’s patriotism is without question, Fleming did not assign him British firearms, therefore Bond is not a man who ever packed a Webley revolver. In some ways, this a painful admittance. By the time that Bond was on the job, British manufacturing was on the downturn, and guns were no different. 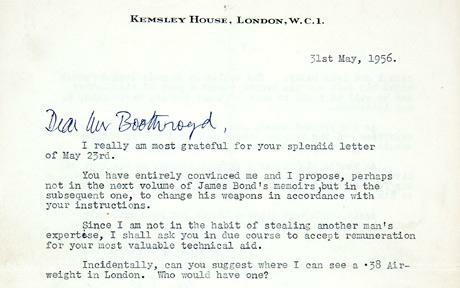 That said, Bond’s biggest issue when it came to sidearms concerned whether or not he was using the appropriate type. In Casino Royale, Bond uses a .25 ACP Beretta M418. During World War II, Fleming, as an officer in Naval Intelligence, was issued a .25 ACP Browning, and because of this he viewed such firearms as fitting for undercover work. While a .25 ACP would be easy to conceal, the .25 round is usually associated with novices, for its stopping power is light and its limited recoil makes it perfect for squeamish or nervous shooters. Worse still, a .25 ACP Beretta is commonly seen as a “lady’s gun.” Clearly, Bond needed to be equipped with something else. I’ve been pestiferated ever since Sports Illustrated ran that article about Bond’s weapons; you saw it, I’m sure—the one which told how I’d been persuaded to take Bond’s .25 Beretta away from him and make him use a 7.65mm Walther instead. That idea had originated with Geoffrey Boothroyd, a genuine expert, and since the article appeared I’ve had hundreds of letters from weapon maniacs—and they are maniacs; it’s terrifying—and Boothroyd gets all those letters sent on to him. I never look at them; he deals with them himself or he doesn’t. I wouldn’t dream of attempting it. I’m just not sufficiently expert. 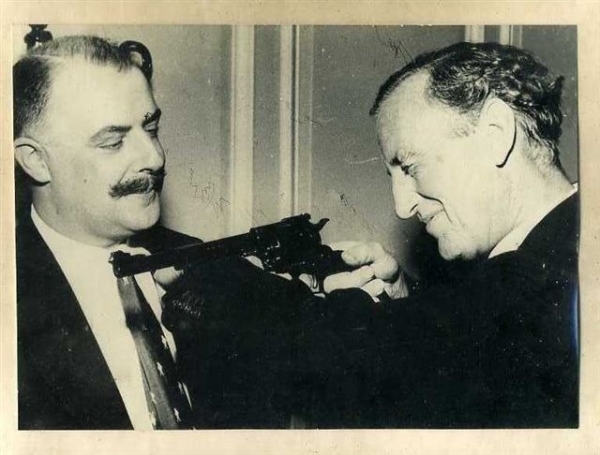 Despite Fleming’s boredom with firearms, he took Boothroyd’s advice and started arming 007 with more manly pistols. Although Bond had used a .45 Colt M1911 in Moonraker, Fleming, acting on Boothroyd’s prescriptions, decided on the Walther PPK 7.65 mm as Bond’s primary weapon. It’s a strange irony that although Bond often finds himself pitted against ex-Nazis and other enemies from World War II, he proudly sports a German gun that was popular among Nazi officers. The Walther PPK is far from the only gun in Bond’s arsenal, and a brief list of his other firearms paints a portrait of a truly international warrior. From Casino Royale to Dr. No, Bond uses American guns (mostly Colt revolvers), Italian guns (.25 Beretta), and tests everything from the Japanese M-14 to the Russian TT-30. But after Dr. No, Bond usually sticks with his issued PPK, but he also finds time “try out” submachine guns, rifles, and even a speargun. To extrapolate a little further, it can be argued that Bond was also familiar with the “Shanghai style” of combat. Developed by the mostly British-lead Shanghai Municipal Police, the “Shanghai style” incorporated Chinese martial arts with the lethal skills of the British military. Like bartitsu, the “Shanghai style” was syncretic, highly effective, and deadly. Former Shanghai police officers often served as combat instructors for special units during World War II, with the most well known example being William Fairbairn, the former Royal Marine and Shanghai patrolman who trained British, American, and Canadian commandos during World War II. Fairbairn, the co-creator of defendu, or “Fairbairn’s Gutter Fighting,” has been suggested as the inspiration for Q in Fleming’s novels. Whether they’re armed with an effeminate pocket pistol or a mere cane, both Bond and Holmes are very dangerous men. Luckily, for the Anglosphere, they’re on our side. Besides inspiring confidence in generations of readers, Bond and Holmes have served as models for physical and national courage during times of war and peace. Strong, smart, and sure – these are the qualities of both men, and their willingness to scrap and shoot further enhances their shared position as members of George Orwell’s select group of “rough men” who “stand ready to do violence” on behalf of the British Empire and its citizens.